This past week, I took a trip to the Windy City and debuted a wonderful new restaurant with my Mom and cousin Carrie Steinweg who has a food blog Chicago Foodie Sisters. We tried out the Dolce Italian at the Godfrey Hotel. Our sever shared that this wonderful venue has only been open for the past three months. Originally located in Miami, the restaurant opened a Chicago version with a fresh take on fresh Italian fare. 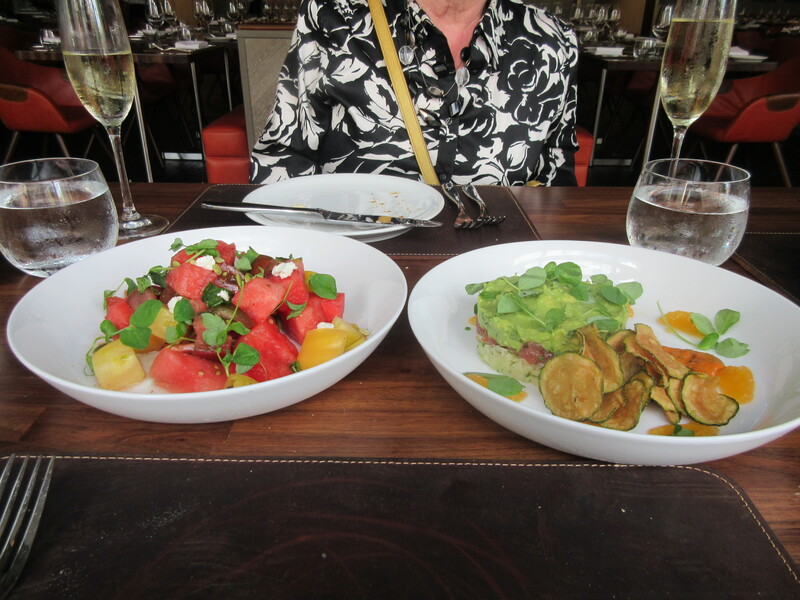 We adored the Tuna Tartar and Watermelon salad and I especially liked the Pesto Chicken Alfredo I tried. The Tiramisu was delectable and a great end to a wonderful lunch. We did just that. We lingered over our lunch and enjoyed the great food and friendly staff. Good food, great company – that is all you could ask for. Log onto http://www.ldvhospitality.com/brands/dolce-italian-at-godfrey-hotel-chicago/ for more information!